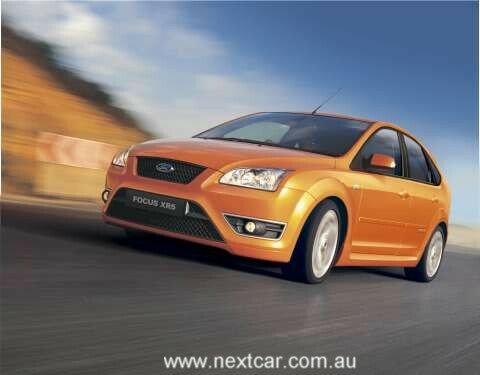 Ford Australia President Tom Gorman announced the pricing yesterday at the Melbourne International Motor Show. 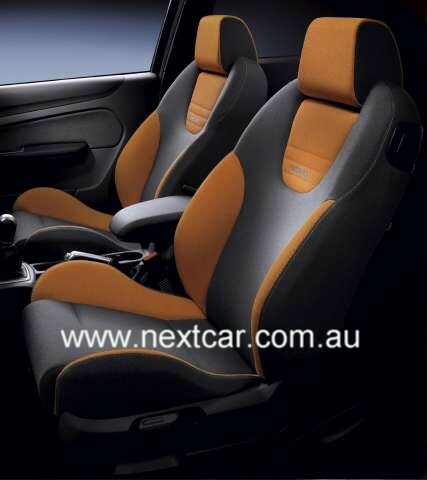 "Value for money is a cornerstone of the Ford brand and the new German-engineered and built Focus XR5 Turbo certainly lives up to that reputation, combining a high performance turbocharged engine, slick six-speed manual transmission and razor sharp handling for under $36,000." "This is a very exciting day for Ford Australia, with the red hot Focus XR5 Turbo adding more firepower to an already potent performance vehicle line-up." "We all know Focus is a quality product, with superb dynamics borne out of an extensive sports programme via the gruelling World Rally Championship." "Our engineers have drawn on that experience and focussed it into a vehicle destined to redefine the term hot hatch." "Focus XR5 Turbo combines performance with practicality; offering usability and versatility just as its siblings do, with additional power and performance in tribute to its rally-bred origins," Mr Gorman said. The Focus chassis has been modified and stiffened for the XR5 Turbo as well as being lowered by 25mm. Handling has been refined through stiffening of the front and rear springs and larger diameter anti-roll bars. Brakes have been upgraded with 320mm x 28 mm front ventilated discs, fitted with large calipers and pads to provide better initial bite. Safety features include a rigid passenger cell, footwell protection, collapsible steering column and pedals, side impact protection door beams and Dynamic Stability Control (DSC). Passive safety highlights include driver and front passenger airbags, side curtain airbags and pyrotechnic belt pre-tensioners. Inside, the new Focus XR5 Turbo boasts Recaro sports seats and a unique additional instrument pod, displaying turbocharger boost pressure, oil temperature and oil pressure. It also features a Sony premium sound system with six stack in-dash CD and eight speakers. 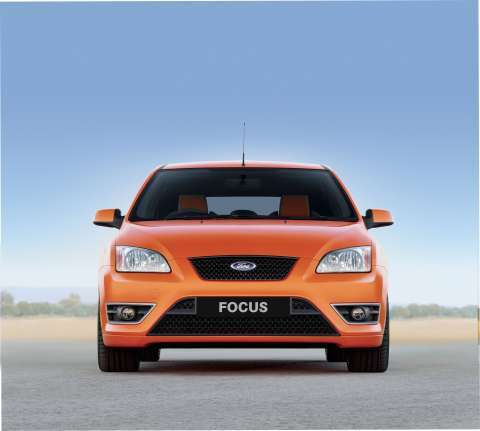 Outside, the front bumper has been emphasised to give the Focus XR5 Turbo a lowered look incorporating an aggressive inverted-trapezoid lower grille. Flanking the top of the lower grille, fog lamp openings are trimmed in brushed aluminium. 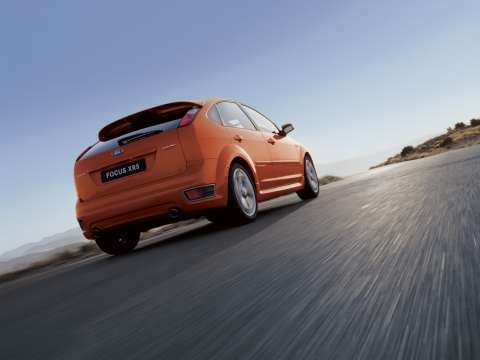 With superb performance levels, the new Ford Focus XR5 Turbo offers a no-compromise package for the performance car driver. Ford TeamRS, the company's racing and performance arm based at Ford's Dunton Technical Centre in the UK, has developed a car ideal for the performance motorist, while offering a welcome dash of refinement. "We have spared no effort in making this the most exciting Ford Focus road car yet," said Ford TeamRS Director Jost Capito. "It is a perfect car for drivers who love the performance motoring experience, but do not want to sacrifice high standards of refinement, comfort, practicality and smoothness."